Philippe d'Orléans had had two daughters by Henrietta of England and both had made very good marriages. The eldest, Marie Louise d'Orléans, had married Charles II of Spain and thus became queen. The youngest, Anne Marie d'Orléans, had been shipped off to Savoy where she became the duchess of Savoy. So, when Elizabeth Charlotte of the Palatinate gave birth to another daughter in 1676 the race was on to find yet another suitable husband. The young girl was duly named after both her parents with the names Elisabeth Charlotte Philippine. As the only remaining daughter of the Duc d'Orléans she was known at court simply as Mademoiselle d'Orléans - and she was a very good match. As could be expected there were very divided opinions on whom the eligible lady should wed. Even the Grande Dauphine (who otherwise never mingled in such matters) pitched in. She offered her younger brother Joseph of Bavaria. It was rather odd that the Grande Dauphine should even have suggested him. Joseph was the third son of the Elector of Bavaria and thus not expected to marry. In fact, he was intended for the church and he did eventually become Archbishop of Cologne. While the Grande Dauphine's suggestion does show considerations for her family connections it also shows that she was not quite realistic about such affairs. The mother of Mademoiselle d'Orléans was the notoriously opinionated Elizabeth Charlotte or Madame. She had envisioned a match that would make her daughter a queen. 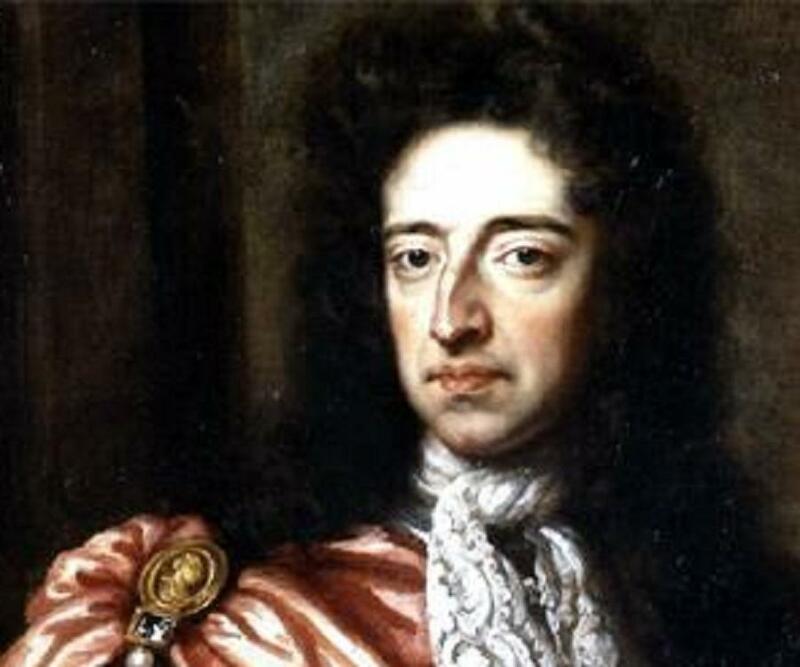 William III of England had become a widower in 1694 and was therefore available. There was one matter that needed to be solved. William III was a Protestant and Mademoiselle d'Orléans was a Catholic. Usually, such matters were not considered to be of much importance since the bride was expected to convert to suit her prospective husband. In other instances they were even allowed to keep their own religion. This had been the case with the last French-born English queen but it had become a major problem in the years up to the civil war. These recent religious turmoil in England meant that the English were adamant that the bride must convert - and this was rejected by the French. It is possible that Elizabeth Charlotte had chosen William III with this particular point in mind. Besides the obvious prestige of becoming queen, Elizabeth Charlotte had herself been a Protestant before being obliged to convert for her marriage. At the court of Versailles the new Madame had not been overwhelmingly warm to her new faith; so, it is worth considering that she hoped her daughter would marry a Protestant. One of the most likely candidates was the Holy Roman Emperor, Joseph I. This match would have been groundbreaking for the entire political scene. The French Bourbons and the Hapsburgs had been enemies for centuries and a match would thus have mended bridges - at least in theory. Also, if Mademoiselle d'Orléans had become the Holy Roman Empress it might have smoothed the way for Marie Antoinette. Perhaps if there had already been such a recent match between France and the Hapsburgs, the future doomed queen's nationality might not have been such an issue. The match eventually fell through. It was not just the French who had their reservations when it came to a match with a long-standing enemy. The mother of Joseph, Eleonor Magdalene, was dead-set against uniting her son with a French-woman. Her animosity towards France went so far that when the final two candidates for her son's hand were determined on - two German princesses - it was the fact that one of them had a French grand-mother that decided against her. Others were unwilling to search across the borders at all. The Grand Dauphin had become a widower in 1690 which would have poised Elisabeth Charlotte Philippine to become the next queen of France. This might also have been the case if she had married another French candidate: the son of the Grand Dauphin - the Duc de Bourgogne. He was six years younger than his cousin but still eligible. According to the Duc de Saint-Simon both Madame and Monsieur were willing to consider Bourgogne's younger brother, the Duc de Berri. However, considering the high hopes of Madame it seems unlikely that she would consent to a match to a younger son. What is interesting is that Saint-Simon refers to the reluctance of Louis XIV to unite his grandson with his niece. Ever since his childhood, Anne of Austria had installed the fear of a power-struggle between her sons in Louis XIV. It is not unlikely that Louis XIV was indeed worried that such a union would bring the Orléans-family too close to the throne. There were other matches that caused the proud heart of her mother to skip a beat. Louis XIV's legitimized sons were initially thought to be off-limits - their having been born bastards were simply considered too great a hindrance. However, Louis XIV was determined to have the best matches for his children by his mistresses and began marrying them into the best families in France. This naturally put Mademoiselle d'Orléans directly in the spotlight. She was undoubtedly one of the best matches and it was considered for a while to pair her with the Duc du Maine. Madame was horrified but knew that she could do nothing if the king decided on the match. It was therefore an immense relief when the Duc du Maine married Louise Bénédicte de Bourbon instead. All these matches came to nothing and by the age of 20, Mademoiselle d'Orléans was still unmarried. The Treaty of Ryswick was to change that and the match became less grand than her mother had hoped. Rather than a king or an Emperor, the chosen man was Leopold de Lorraine, Duc de Lorraine. Thanks for producing such a handy + entertaining blog, by the way! I'm finding details in it that I haven't come across in years of reading about this era! I love your blog and appreciate the info you give and the effort it takes to give it to us!! Thank you! !